Graduate as a career ready journalist, with a sensational portfolio. 'Since graduating I have become a multimedia broadcast journalist for the BBC, which is a very versatile role. Some days I can be shooting and editing videos for social media, and others I can be reporting for radio and television, or producing a live show. Having course tutors with industry experience really helped me take my first steps into my career. They supported me when I sent off applications, and I made valuable contacts through my work experience. Amazing experiences that will give your career a head start. Ross was selected for the Daily Mail Graduate scheme - thousands applied, Ross got through. Adam is a journalism student who has his own show on the student-run campus radio station, Tone. Exceptional, on and off screen. Learn your trade in our cutting-edge facilities, with all the very latest broadcast equipment. Our media centre is equipped with TV and radio studios, multimedia newsrooms and an apple mac suite. Everything is as you will find in the industry - from the Burli newsroom management software we use, through to our BBC-standard JVC cameras. We also have all the latest broadcast technology, such as iPhone mojo kit. 'I've worked as a journalist for some of Britain's top media organisations. I've written for national, regional and local newspapers, and produced content for BBC News Online. I've also worked as a producer and director on current affairs shows, factual programmes and documentaries, which have been broadcast on BBC1, BBC2 and BBC4. See how our industry-standard facilities have allowed Hesh to broaden his skillset. Our Journalism course is one of only a handful to be accredited with a dual seal of approval from industry - The National Council for the Training of Journalists and the Broadcast Journalism Training Council. This gives our graduates a real competitive edge. While NCTJ and BJTC are important acronyms, the most important is TLC. With mostly small class sizes, and a proactive personal tutor system, you’ll never be just a number here. You’ll cover all aspects of multimedia journalism including writing and presenting, shooting and editing video, and creating audio output, such as podcasts. 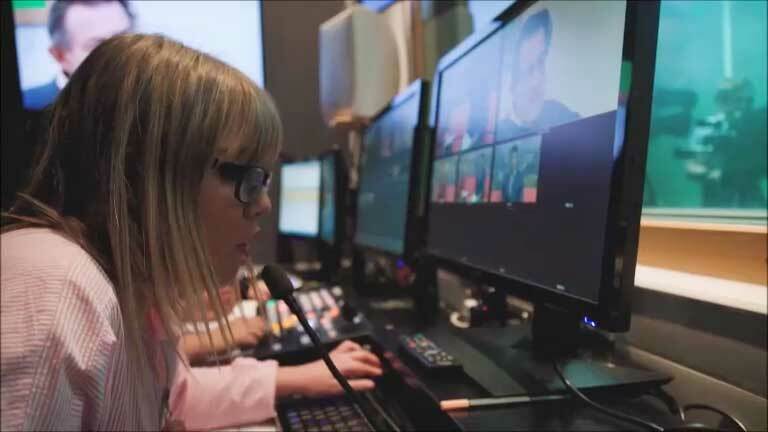 You’ll develop exciting digital content for news websites and social media, and produce TV and radio bulletins in our state-of-the-art newsrooms and studios. The course is taught by highly-skilled practitioners who have many years of experience working for the likes of BBC television and radio, BBC Online, ITV, Vice, The New Statesman, The Times and The Guardian. Our close contact with industry means we can keep you up-to-speed with the latest developments, including the use of social media, mobile journalism and other emerging digital technologies. In the first year, you will gain core skills such as writing and presentation, video and audio production and news gathering. You will also be introduced to some of the key principles which underpin journalism practice, as well as media law and ethics. You will develop your skills further in the second year, when you’ll learn how to write features and produce digital and print magazines. Students also cover court stories in our Advanced Media Law and Ethics module and study politics for journalists. You will work together in teams in our newsrooms and studios during regular multimedia news days and a news week. Using industry-standard equipment, including cameras that are used by the BBC, you will research, gather and deliver stories to the same deadlines as real-world journalists. Your third year is focused on refining your skills, knowledge and experience – the final preparations for a career in the media industry. A key part of your last year will be your work placement. 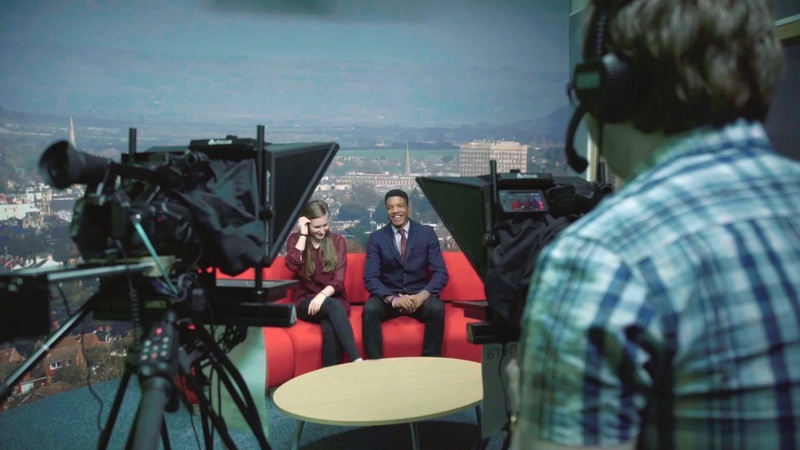 Previous students have worked for top news providers such as The Times, BBC Breakfast and Channel 5 News. You will also learn how to manage a portfolio career, including working as a freelancer, and will develop a professional social media strategy and an online portfolio of work. Get Journalism course updates and hear more about studying with us. You will mainly learn practical skills, such as news and feature writing, shooting videos and recording audio. You will put these into practice on multimedia news days and news weeks. There are essential theory modules including Journalism in Context, Media Law and Politics for Journalists. You will be following a curriculum which will see you taking NCTJ diploma exams alongside the university's own assessments. We teach students towards the NCTJ Essential Media Law and Regulation, Videojournalism, Court Reporting, Public Affairs, Newspaper and Magazine Regulation and Essential Journalism exams, while shorthand will be a part of your second year teaching. In your final year you can choose between an academic dissertation or advanced practical project. Students have covered relevant and challenging topics such as an academic discussion into the use of social media in news gathering, and a piece of investigative journalism into failings in NHS maternity care. Students have completed placements at the BBC, ITV, Sky News, NME, The Daily Mail and various BBC magazines. Fill in the form below and we'll be in touch with Journalism updates, upcoming events and everything you need to know about university life.